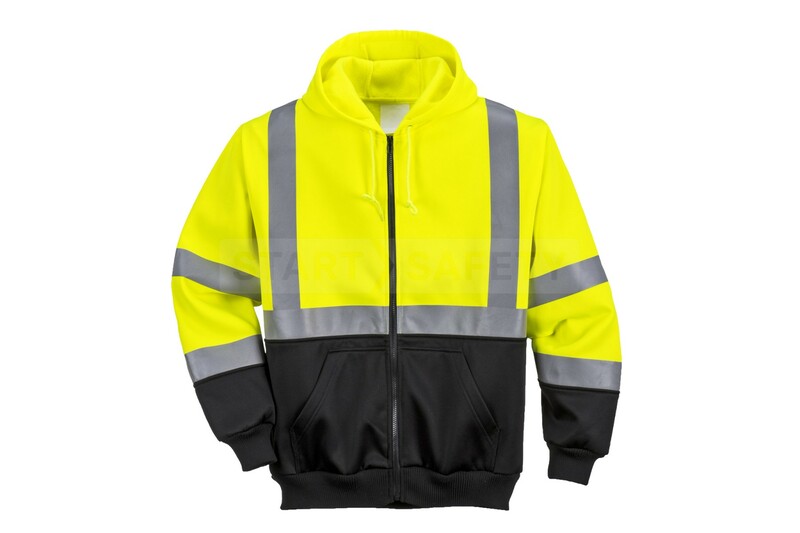 This hoodie comes with a high contrast black lower and vibrant yellow upper. 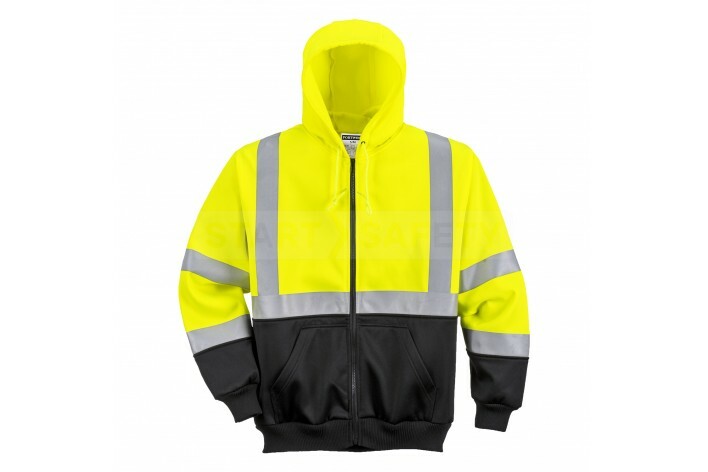 The zipper down the center means that this hooded sweater comes with two separate pockets on the front. The hood is adjustable to suit varied weather conditions that may be encountered. 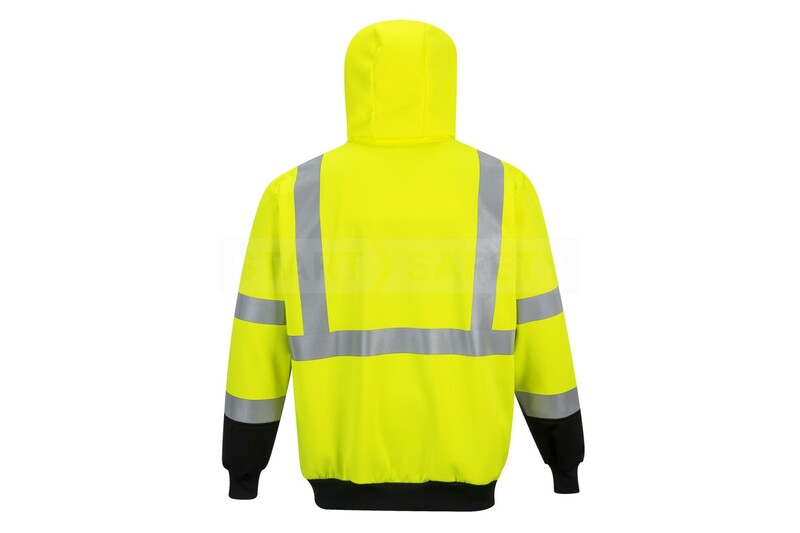 The contrast panel on the lower of this jacket helps prevent dirt from reducing the sharp edges of the vibrant yellow, making it ideal for many roles. 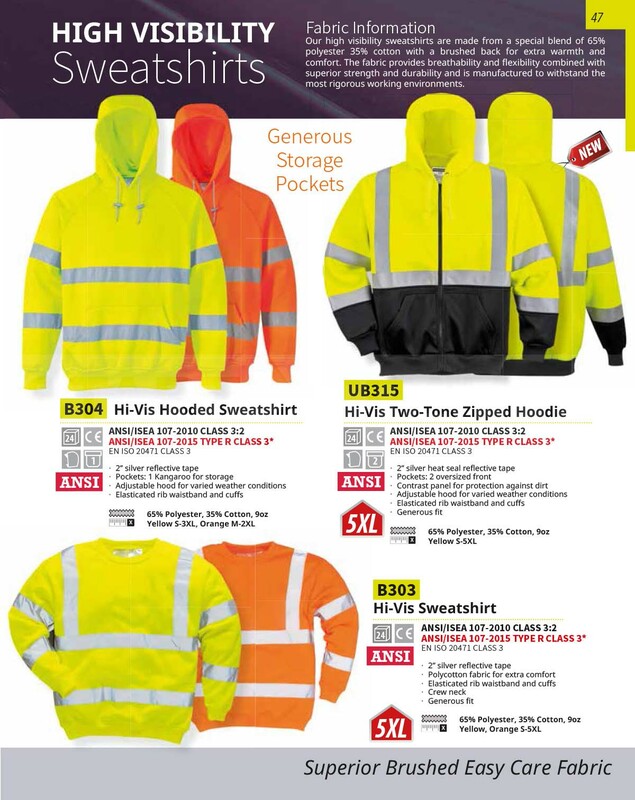 Do you have questions about this High Viz Hooded Sweater with contrast? Give us a call and speak to one of our trained sales team, they will be able to assist you in finding the right product for your needs. They would also be happy to discuss any bulk quantities that you may require.